I have a DVD I picked up for $5.00 out of a bargain bin at one of the big chain stores. The DVD has a collection of movies from Tom Sawyer to Old Yeller. I asked my son which of the movies he’d like to watch over the past weekend, he looked at the pictures on the cover and picked Old Yeller because he likes dogs. My son, now 6, likes movies. Some of his personal favorites include Cars, Planes, Epic, Rio, Big Hero 6 and Ice Age. These are all great movies, but they’re not Old Yeller. Old Yeller is a Disney movie produced in 1957. There’s no animation and the special effects are minimal. Old Yeller is a Disney movie that veers from the script of modern-day Disney movies. You see Old Yeller is a surprisingly honest film. It’s not happily ever after but it does teach a valuable lesson. If you’ve never seen Old Yeller I don’t want to spoil the ending for you so don’t read the next sentence. Old Yeller doesn’t make it. I still get a little choked up every time I watch it and I KNOW how it ends. Today’s Disney movies tend to have happy endings and the main characters usually overcome huge obstacles by enormous feats or miraculous acts but not Old Yeller – it’s brutally honest and there is no happily ever after but for a boy who loves dogs, and most boys do, it teaches a great lesson and for everyone else Travis’ dad teaches an even better lesson. Travis is the main character and he himself is a young boy who raises Old Yeller from a pup. After Old Yeller dies of rabies he contracted while keeping Travis safe from the attack of a wolf Travis’ Dad says something to Travis that sums up the lesson of the movie. Life is hard. You fall, then you get back up. Then you keep going. For my son Old Yeller provided a different perspective to any movie he’d ever seen but that perspective is important and in the life of a young boy Old Yeller is a rite of passage. I remember watching it at his age and I remember the same “what do you mean Old Yeller didn’t make it feelings”. We see the same in our own lives every day. Sometimes bad things happen but people keep going, it’s called hope and hope is a vital and an intangible piece of the care we provide to our patients. We help our patients achieve hope and hope is not something anyone has rather it’s what someone does. Hope is an action and an outlook and with hope most obstacles are no longer insurmountable so its part of our duty as healthcare providers to help our patients achieve hope. Doing so is as easy as offering an encouraging word, a gentle touch, a smile, holding a hand, giving a hug or simply a listening ear. 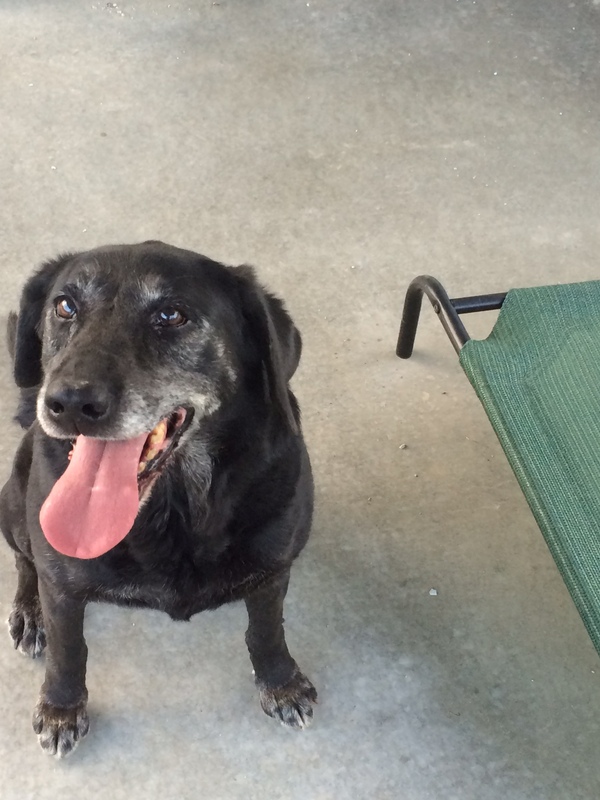 One last note, the old dog in the picture above is Rain, my late 12-year-old hunting companion. She had cancer and had to be put to sleep a couple of weeks ago. She was the second dog I’ve had over the course of my life that I’ve had to put to sleep and like Travis in Old Yeller, I was heartbroken and so was my 6-year-old son but to steal from Travis’ father “life will just haul off and knock him flat. But it’s not all like that…And you can’t afford to waste the good part fretting about the bad.” Life teaches us lessons but the best lesson for any of us is there’s hope. Hope is not magic, hope is hard at times and hope is not what you have, hope is what you do.